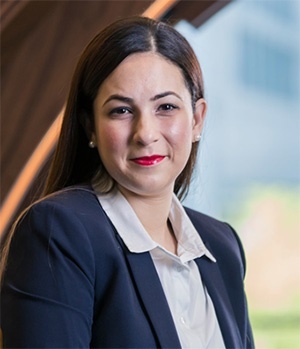 Cape Town - Grand Parade Investments [JSE:GPL] announced on Wednesday that its CEO and executive director Tasneem Karriem has resigned, after less than a year at the helm. No reasons were cited for her resignation, which is effective from April 2 2018. Executive chairperson Dr Hassen Adams will assume the role of acting CEO until a suitable replacement has been appointed, the group said in a note to shareholders. Karriem, a qualified chartered accountant and a member of the South African Institute of Chartered Accountants, joined GPI in July 2015 to head up the group’s corporate finance activities. She was appointed as an executive director to the GPI board in September 2016 and on July 1 2017 was appointed group chief executive officer. Last year GPI introduced strategic changes to its executive - Karriem was one of the new appointments. She was the first female CEO in the history of the company, Fin24 previously reported. Former group CEO Alan Keet resigned in March 2017 to head the food division, Grand Foods. The board took the decision that it was best for Keet to focus on the foods decision and drive Burger King to profitability. GPI has holdings in the food and gaming sectors. Among its gaming properties are SunWest International, Sun Slots and Worcester Gaming Valley Casino. In recent years it acquired the master franchise licences for Burger King, Dunkin' Donuts, and Baskin-Robbins in South Africa. The share price closed at R2.33 on Tuesday, giving the investment holding company a market capitalisation of R1.1bn.